S&R Construction is the construction division of Steeves & Rozema (S&R) Enterprises Limited. S&R is a fully integrated real estate company involved in the development, ownership, and management of commercial, multi-residential, retirement properties and long term care facilities. Excellence in quality control and managing the bottom line has been our strength for four decades. The company has founded its success and growth by maintaining high standards in development and the ongoing management of these properties. S&R’s development, ownership and management portfolio has been very successful because of our belief that such assets will benefit significantly from the recovery of the local market economies and the movement to effectively manage and securitize real estate assets. 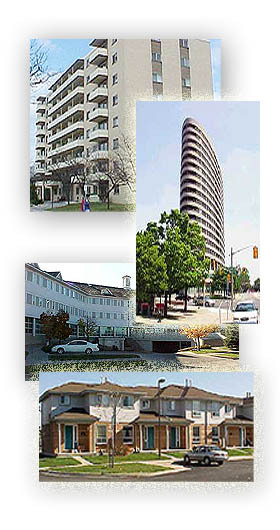 Since 1963, S&R has constructed approximately 125 buildings throughout Southwestern Ontario. Our construction portfolio has been very diverse over the years, which has been complemented by our experienced and professional staff and their expertise with demanding, diverse construction projects. Comprised of 26 mixed-use properties, our corporate asset portfolio includes approximately 2.4 million square feet of commercial, multi-residential, retirement and long term care properties. In addition to construction and property management services, S&R also provides facility management services, land development services and feasibility studies. Steeves & Rozema (S&R) Enterprises Limited, was created in 1963. With 500 employees and experience managing four different unions throughout Southwestern Ontario, we own and manage real estate in Guelph, Cambridge, Kitchener, Waterloo, London, Chatham and Sarnia.